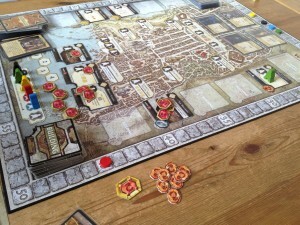 I wasn’t expecting much when Lords of Waterdeep was announced as Dungeons and Dragons-based board games have been pretty lack lustre in the past (the drab Castle Ravenloft being one). 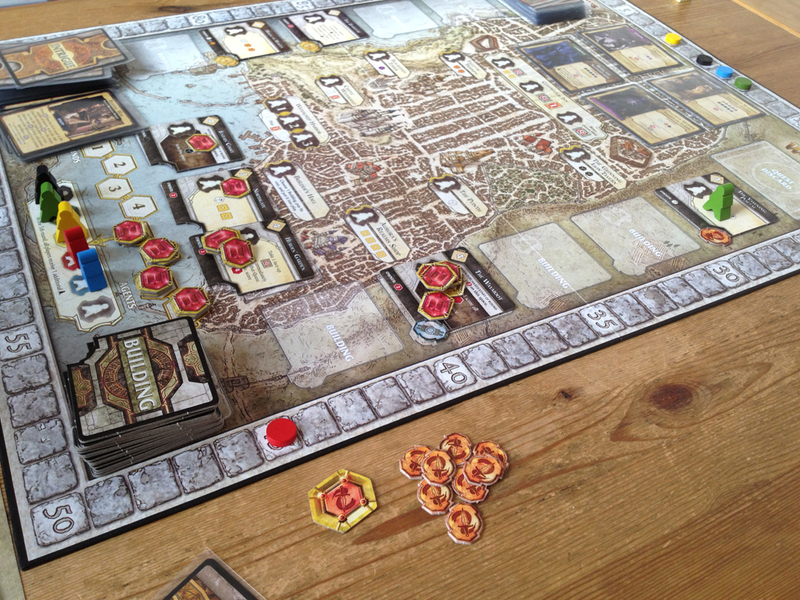 However, Lords of Waterdeep is very good with more of a eurogame at its heart. During the game, players try to earn as many points as possible by completing their quests. Each quest is completed by sending (spending) the number of adventurers (clerics, rogues, fighters and wizards) shown on the quest, and some quests give the player a special ability too. The main game mechanic is a worker placement game and, on their turn, a player places one of their agents (workers) onto the board and uses the benefit of that location. Locations can give the player adventurers, money, allow them to take a new quest from those on display, build a building (paying resources to do so), etc. One interesting location is the harbour which not only allows players to play one of the Intrigue card they may hold (which can be very beneficial to the player, or detrimental to opponents), but agents at the harbour also get to be reassigned to any free locations after all the other agents have been placed.